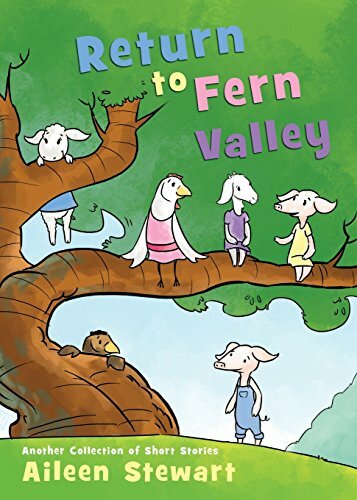 The Fern Valley Kids are back in twelve new and exciting adventures. Join Mildred and Roberta Cornstalk as they discover a clue hidden inside a library book. Peek into the wondow of a secret cottage with the lovely Betsy Woolrich. Find out what Jason Curlytail builds from a box, what Alice Redfeather does when she gets locked out of the house, or how Nathan Gruff copes with the news of a new baby. The perfect addition for any child's library and a joy for families to share, Return to Fern Valley will have you falling in love with your favorite characters all over again. If you have any questions about this product by Author Aileen Stewart, contact us by completing and submitting the form below. If you are looking for a specif part number, please include it with your message.